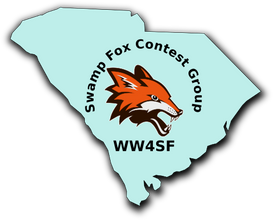 We, the undersigned, wishing to secure for ourselves the pleasures and benefits of an association of persons commonly interested in Amateur Radio, constitute ourselves the Swamp Fox Contest Group of South Carolina and enact this constitution as our governing law. It shall be our purpose to further the exchange of information and cooperation between members, to promote radio knowledge, fraternalism and individual contest operating efficiency, and to so conduct club programs and activities as to advance the general interest and welfare of Amateur Radio contesting in the community. All licensed Radio Operators interested in Amateur Radio communications, particularly contesting, shall be eligible for membership. Membership shall be by application and election upon such terms as the club shall provide in its By-Laws. Membership may not be denied because of race, creed, color, religion, gender, sexual orientation, political affiliation, marital status or any other reason that would be biased or prejudicial. The officers of this club shall be elected for a term of one year by the members present, at the annual meeting in January. There are no term limits presently. Vacancies occurring between elections must be filled by a special elections following the withdrawal or resignation. In order to hold an office an individual must be a regular member in good standing and hold a valid Amateur Radio license. Any officer may resign his/her position in writing at which time any records and assets of that office will be turned over to the President or Vice President. Officers may be removed from office for cause, upon written petition of two or more members and presented to the President or Vice President. 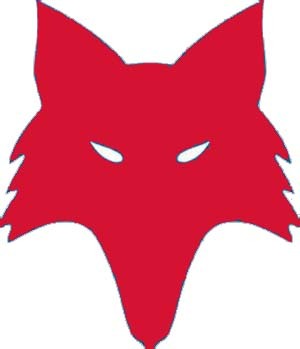 After investigation the petition will be presented to the regular membership at a special called meeting of the club and a voted on by the regular membership. Removal of an officer requires a three-fourths vote of the regular membership. The Secretary shall keep a record of the proceedings of all meetings, keep a roll of members, submit membership applications, carry on all correspondence, read communications at each meeting, and send notices to each member. At the expiration of his/her term he/she shall turn over all items belonging to that office to his/her successor. The Treasurer shall receive and receipt for all monies paid to the club; keep an accurate account of all monies received and expended; pay no bills without proper authorization (by the club or its officers constituting a business committee). At the end of each quarter he/she shall submit an itemized statement of disbursements and receipts. At the end of his/her term he/she shall turn over everything in his/her possession belonging to the club to his/her successor. The By-Laws shall provide for regular and special meetings. At meetings, a minimum of one-fourth of the membership shall constitute a quorum for the transaction of business. Robert's Rules of Order shall govern proceedings. The club, by majority vote of those present at any regular meeting, may levy upon the general membership such dues or assessments as shall be deemed necessary for the business of the organization. Non-payment of such dues or assessments when due shall be cause the member to be removed from the active member roster. The club will provide technical advice to members concerning equipment design, setup, integration and contest operating procedures. The club may elect to apply for a club call sign as provided by FCC rules Part 97. The President shall assign trusteeship of the club call sign. Not had his/her Radio Amateur license revoked or sanctioned at any time. This Constitution or By-Laws may be amended by a two-thirds vote of members voting. Proposals for amendments shall be submitted to all members and shall be voted on after all members have been notified of the intent to amend the Constitution and/or By-Laws. Regular membership is open to licensed Radio Amateurs actively participating in contesting. Members who do not provide evidence of contest activity, or fail to communicate with the club shall be removed from the active member roster upon direction of the Board . The board may also reverse this action. -Associate membership is open to licensed radio amateurs interested in contesting. -Regular membership includes all club privileges as well as rights to hold a club office and to vote for club officers. -Associate membership includes all club privileges except for the right to hold office, vote for club officers and engage in activities not approved y the board. Upon evidence of contesting activity, communication with the club in general and participation in club activities, the board may cause the associate member to be advanced to a regular member. Applications for membership shall be submitted to the President. 3a. There will be one regular meeting per year, held the last Sunday of January. This date may be changed to accommodate members and availability of a meeting place. 3b. Issues that are expected to be discussed and/or voted on will be presented to the membership prior to meetings so that the members not able to attend can have their wishes, comments, and votes brought up. 3c. Special meetings may be called by the President upon the request of two or more members. Notices shall be sent to members concerning special meetings and the business to be transacted. Such notices shall be sent so that they arrive not less than 24 hours before the meeting. Annual dues of $10.00 per member, regular and associate, is hereby assessed in accordance with the provisions of Article V of the constitution for the purpose of providing funds for expenses. Membership dues are payable in January of each year. Any member whose dues are not paid by March 1st will be removed from the active membership roster. Members that join during the year will have the dues adjusted on a quarterly basis. Officer elections will be held annually. Officers will assume their elected office immediately. The President may appoint a nomination committee prior to elections. The committee will be charged with finding qualified candidates to run for office. The committee will present a ballot to the president at which time the President will entertain a motion for nominations and to accept the ballot. The final ballot will be published and made available to all club members. The president will dissolve the nomination committee after the annual elections. The President will decide how voting will be done. Immediately after voting the ballots will be counted and the membership will be notified. Any candidate may request a recount. This committee shall consist of members appointed by the club President. The committee shall direct investigation, invite proper inquires, establish technical facts and testimony and report its results to the club. ARRL and CQ require notification of which members will participate in a given contest. Therefore, any member intending to participate in a contest shall notify the President, or whomever is designated to make such notification. Notifications shall be made to the appropriate person of each organization. Notifications and exchange of any and all club business may be made via email or any other form agreed upon by the club.